Our customers tell us they enjoy Hotel Exe Paris Centre's central location. During your stay, you're just a quick walk from Casino de Paris. A dry cleaning service is available. Built in 1980, this 3-star hotel has 61 rooms over 6 floors. Enjoy your stay with amenities like an LCD TV and designer toiletries in each room. Hotel Exe Paris Centre offers its guests complimentary newspapers in the lobby, dry cleaning/laundry services, and express check-in. The business-friendly Hotel Exe Paris Centre also features room service (during limited hours) and express check-out. The front desk is open around the clock. This 3-star Paris hotel is smoke free. 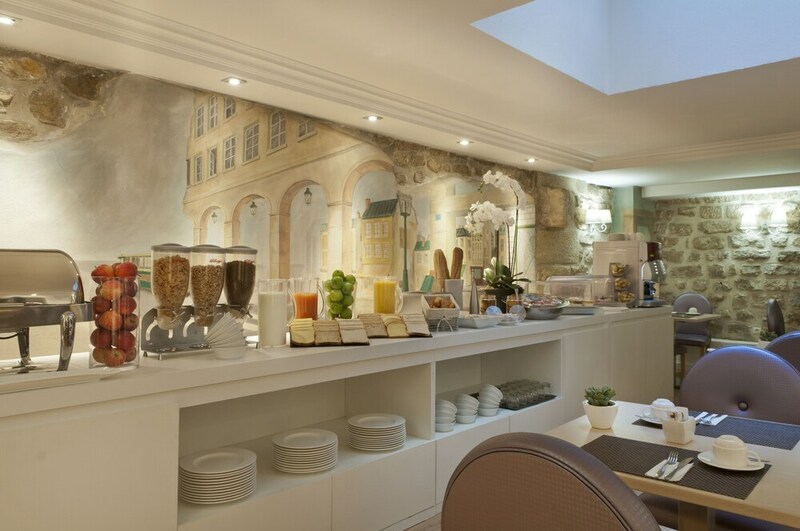 Hotel Exe Paris Centre offers 61 forms of accommodation with a safe and designer toiletries. LCD televisions are featured in guestrooms. Bathrooms include a shower, complimentary toiletries and a hairdryer. Business-friendly amenities include desks and telephones. Housekeeping is offered on a daily basis and an iron/ironing board can be requested. For a fee, guests can enjoy breakfast daily from 7 AM to 10 AM.